Andrei Pop - To redress its position in the present context, civil society has limited options. Most of them relate to changing its narrative, and thus reaching higher constituencies in support of its vision for open society based on the effective right to open criticism. On August 10th, a large number of Romanians working abroad, home for the holidays, were planning to express their grievances to the government in front of its main office in Bucharest. This was announced in the context of on and off peaceful anti-corruption protests in this square ever since the beginning of 2017, when the newly installed Social Democratic Government tried to pass an emergency ordinance alleviating anti-corruption legislation. Under the excuse of an overinflated number of people expected to participate (one million), the actual tens of thousands of protesters in Bucharest were for the first time met by an impressive number of riot police officers. Also unlike any of the previous protests, the August 10th protesters, including parents with children, were actually met with active dissuasion measures by the riot police, such as large amounts of tear gas. Later in the evening, an official order to clear the square of any protesters led to massive violence towards the remaining people, including the use of a water cannon and the old-fashioned beating. More than 400 people needed medical assistance, some of them seriously wounded. The riot police subsequently claimed the situation was due to the fact that protesters were violent themselves. However, shocking footage rapidly began circulating online, with completely peaceful protesters being randomly beaten by the riot police, while the rather scarce violent protesters actually seemed to be singled out by the other protesters. Besides the totally random use of force by the state representatives, what made August 10th special was the utter lack of subsequent apologies or responsibility by the governmental leaders. On the contrary, the official discourse involved a strong narrative justifying the violence. Thus, major political leaders stated the protest was actually a Coup d’Etat organised abroad, that the protesters were on drugs or even that the shocking video footage might be fake and that any statements from the political opposition condemning the violence are in fact undue intimidations on the institution of the riot police. In terms of actual policy, the Government had a clear response: it announced a revision of the law on public assemblies was necessary and would be soon initiated. Topping it off, late October, the Ministry of Interior officially proposed one of the main riot police coordinators for the August 10th intervention for a significant promotion, from colonel to general. The simple meaning looming after the August 10th protest is the fact that peaceful criticism of governmental action is now expected to trigger violent reprisals from the state. The fact that the government was not willing to allow criticism had slowly emerged in the last few years: Romanian civil society has been busy responding to a great number of threats coming from the government. Some of them have turned into real policy in the meantime, in terms of burdening the legislation governing the sector. The most recent example is the gold plating used by the Government to transpose the 4th EU Anti-Money Laundering Directive in early fall 2018. Thus, the transposed law includes NGOs amongst the entities obliged to high reporting, just like banks and other financial institutions, way beyond the provisions of the EU Directive. Similarly, following this law, the government will be able to demand the dissolution of any NGO which refuses to regularly submit the list of names and personal data of the citizens benefitting from civil society projects. Moreover, the major topics preoccupying civil society, such as independent justice, anti-corruption or LGBT minority protection, are ready to crumble at any time, with government representatives totally ignorant at NGO arguments about the toxic effects of the policies proposed in these fields. In the meantime, there are hardly enough resources left within civil society to deal with the more specific, but often highly stringent human rights and social service issues. 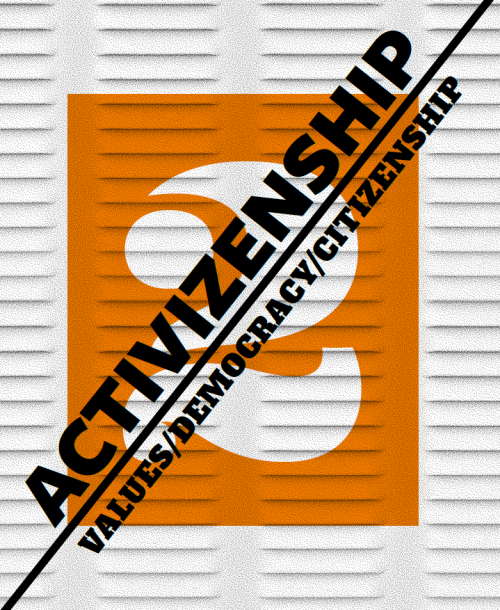 Civil society is thus in one of the most frail positions ever since 1989. And it is now becoming clearer that, fundamentally, the situation is due to totally different understandings, one by the government and the other by civil society, of one clear-cut issue: should or shouldn’t a democratic government be subject to criticism by its citizens? On the one hand, civil society considers its duty, not only its right, to criticise government whenever the welfare of citizens is at risk. Even more, before early 2017, civil society was enriched with a great number of informal groups and actively engaged citizens, adding to the strength of the institutionalised CSOs. Such citizens have been extremely visible and active in terms of demanding what they consider to be rightfully theirs, even if they had to take to the streets in peaceful protests. On the other hand, the government creates more and more intricate scenarios explaining why its critics are totally worthless in the Romanian society, while the policies it is proposing are utterly necessary in order to save Romania. Even worse, the critics are usually presented to be outside the law, the state or even outside common sense, it is them that Romania needs to be saved from. Any of the critics against the government are said to be animated by essentially bad intentions, threatening national identity and even the functioning of the state. This is in fact how George Soros became the epitome of evil in the discourse of Romanian political leaders and how two distinct proposals on sanctioning anti-Romanian behaviour were tabled in Parliament this year. On August 10th, such different perspectives on the idea of criticism dramatically clashed. Violently. Memorably. Sadly. It became clear that the government is willing to do whatever is needed in order to dissuade criticism, even if this involves such drastic changes in narrative and action, highly incompatible with an open society. To redress its position in this new context, civil society has limited options, and most of them relate to changing its own narrative, and thus reaching higher constituencies in support of its vision for open society based on open criticism. An integral part of this solution is for institutionalised civil society organisations to better facilitate support and partnership with the newly formed, informal, civic groups, while also improving access to varied, but sustainable funding sources covering such new types of solutions. Expert al societÄƒÈ›ii civile, angajat constant în eforturile de consolidare a democraÈ›iei È™i implicarea cetÄƒÈ›enilor în procesul de luare a deciziilor. Director de Program al FundaÈ›iei pentru Dezvoltarea SocietÄƒÈ›ii Civile, cel mai mare È™i cel mai vechi administrator de granturi pentru ONGurile din România, susÈ›ine o mai mare sustenabilitate în sectorul societÄƒÈ›ii civile, la nivel local È™i european. Articol apÄƒrut în volumul Magazine Activizenship, editat de European Civic Forum’s cu sprijinul Citizens Programme of the European Union. Volumul integral poate fi citit aici.